A casual stroll around Epcot's World Showcase can send a design critic into sensory overload. There is so much to see that it is pretty easy to overlook some of the smaller details. One piece of extensive theming that you have probably walked past a million times and thought, "Oh gee, that sure is pretty" while continuing on your walk is the Torii Gate. The Torii gate, or Gate of Honor is located in the Japan pavilion, on the waters of the World Showcase Lagoon. Inspired by the gate located at the Itsukurshima Shrine in the city of Hatsukaichi, this is a much smaller version...though awe-inspiring in its own way. A wonderful frame for Spaceship Earth indeed. Like the great Torii at the Itsukushima Shrine, standing in the tidal waters of Hiroshima Bay, this "Gate of Honor" welcomes all who pass by its sturdy beams. 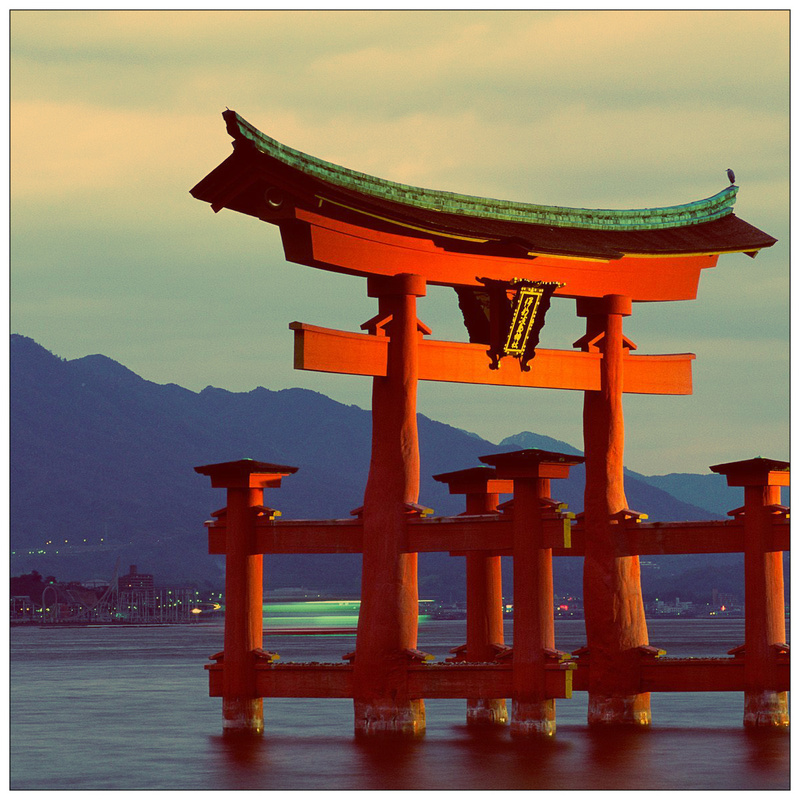 Originally conceived as a small perch for roosters to welcome Amaterasu, the Sun Goddess, the Torii grew in size. Eventually these magnificent forms came to symbolize the shrines of Japan.